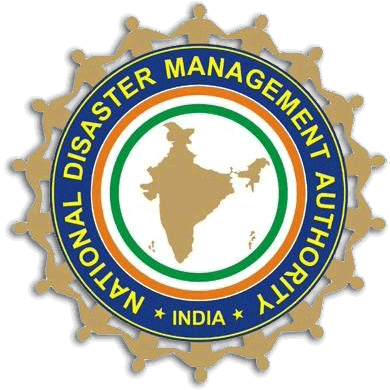 NDMA Recruitment 2019: NDMA - National Disaster Management Authority / www.ndma.gov.in is conducting recruitment processes to fill 39 vacancies. As of now, there are two recruitment drives going on for 18 SRO, Sr. Consultant & Other Posts and 21 SRO, Sr. Consultant & Technician Posts. NCRMP Recruitment 2019 - Job notification for Environmental Specialist Post in NCRMP, New Delhi on Contract Basis. Applications are invited by National Cyclone Risk Mitigation Project within 45 days from the date of publication of the Advertisement in Employment News for 1 vacancy. NDMA Recruitment 2019 - Job notification for Joint Director & Consultant Posts in NDMA, New Delhi on Deputation Basis. Applications are invited by NDMA - National Disaster Management Authority within 30 days from the date of publication of this advertisement in the newspaper for 3 vacancies. NDRF Recruitment 2018 - Job notification for Assistant Commandant (PRO) Post in NDRF, New Delhi on Deputation Basis. Applications are invited by National Disaster Response Force on or before 28 Jan 2019. NCRMP Recruitment 2018 - Job notification for Specialists Posts in NCRMP, New Delhi on Contract Basis. Applications are invited by National Cyclone Risk Mitigation Project (NCRMP) within 30 days from the date of publication of the Advertisement in Employment News for 4 vacancies. NDMA Recruitment 2018 - Job notification for 10 Senior Consultants Posts in NDMA, New Delhi on Contract Basis. Applications are invited by NDMA - National Disaster Management Authority on or before 05 Nov 2018 for 10 vacancies. NDMA Recruitment 2018 - Job notification for Senior Research Officers Posts in NDMA, Delhi on Deputation Basis. Applications are invited by NDMA - National Disaster Management Authority on or before 20 Nov 2018 for 4 vacancies. NDMA Recruitment 2018 - Job notification for Deputy Project Director Post in NDMA, Delhi on Deputation Basis. Applications are invited by NDMA - National Disaster Management Authority on or before 15 Oct 2018. NCRMP Recruitment 2018 - Job notification for Section Officer Post in NCRMP, New Delhi on Deputation Basis. Applications are invited by National Cyclone Risk Mitigation Project, within 45 days from the date of publication of the advertisement in Employment News for 1 vacancy.